Back cover blurb: An afterlife of your own design, what could go wrong? 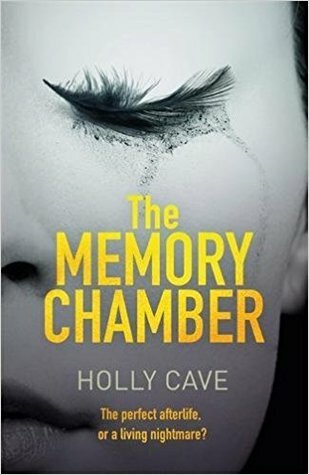 The dark and gripping thriller from an exciting new voice in speculative fiction. YOU ARE GOING TO DIE. YOU CAN PRESERVE A HANDFUL OF SPECIAL MEMORIES FOR EVER. WHICH ONES WOULD YOU CHOOSE? True death is a thing of the past. Now you can spend the rest of eternity re-living your happiest memories: that first kiss, falling in love, the birth of your children, enjoyed on loop for ever and ever. Isobel is a Heaven Architect, and she helps dying people create afterlives from these memories. So when she falls for Jarek, one of her terminal - and married - clients, she knows that while she cannot save him, she can create the most beautiful of heavens, just for him.But when Jarek's wife is found dead, Isobel uncovers a darker side of the world she works within, and she can trust no one with what she finds..
Isobel Argent (Izzy) is a successful Heaven Architect, one of the best in her field. When Jarek turns up for his scheduled appointment, Izzy is surprised at her attraction to him. She is in a long relationship with Don, but Jarek is quite possibly the most attractive man she’s ever met. Izzy has to force herself to concentrate on the reason he’s there in her office. He’s a client, and he’s dying. His vulnerability and belief in her ability just make her fall even harder for him. Theirs is a future world in which you can create a personalised “heaven” (hence Izzy’s role as a heaven architect). A heaven to capture your favourite, most treasured memories and be with those you love if you choose to let them in. Jareks illness takes him quicker than Izzy would have liked, and she is left bereft by his passing. When days after his death, policeman Daniel turns up to speak with Izzy she is dumbfounded to hear of his wife’s death. A suspected murder case. Daniel wants Izzy’s help to access his Jarek’s 'heaven' as he is their prime suspect, and to convict him post-mortem would mean having his heaven shut down. Izzy doesn’t know what to do. Letting a policeman see someone else’s heaven goes against all her principles. But she knows that Jarek is innocent and won’t have his name sullied after his death. Izzy must fight to clear Jarek’s name whilst undertaking ground breaking and dangerous work in to someone else’s heaven after their passing. I’m not usually a fan of this type of fiction, but this novel intrigued me. A world where it’s possible to create your own personalised heaven with any memory you chose is one that doesn’t seem so unbelievable somehow. 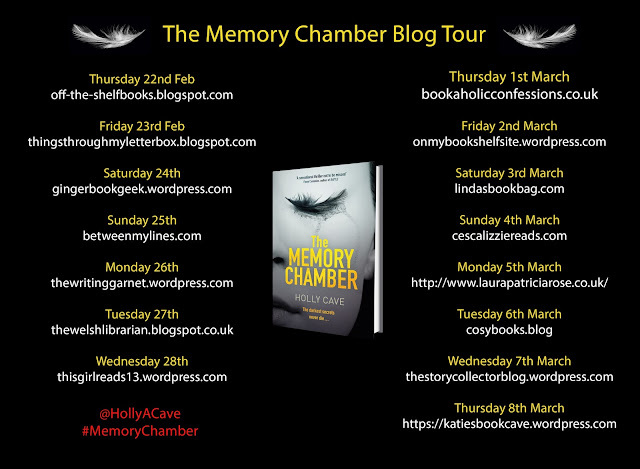 The Memory Chamber is available now via Amazon online and all good book shops.